Although studies have found that 80-90% of Europeans say they do not want genetically modified foods, manufacturers who market both genetically modified and conventional products have noticed that the two versions sell about the same. This proves to be no surprise to Charles Noussair, associate professor of economics, Purdue University, West Lafayette, Ind., who says it is common for public opinion and consumer behavior to differ. "Opinion surveys capture the respondent in the role of a voter, not in the role of a consumer. The two behaviors can be quite different, as many studies have shown." Noussair and colleagues in Europe conducted experiments to investigate the paradox. Their research found that, despite the high level of opposition to genetically modified foods, most Europeans aren't concerned enough to read ingredient lists on food packaging. Consumers didn't notice that a food contained genetically modified products even after they were seated and left for three minutes with nothing to do but to look at the ingredients label. 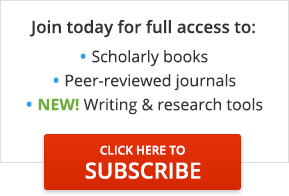 Publication information: Article title: Should Modified Foods Be Labeled? (Worldview). Contributors: Not available. Magazine title: USA TODAY. Volume: 131. Issue: 2687 Publication date: August 2002. Page number: 15. © Society for the Advancement of Education. COPYRIGHT 2002 Gale Group.